Three works by pioneering New Testament scholar Gustav Dalman, including his famous Words of Jesus. 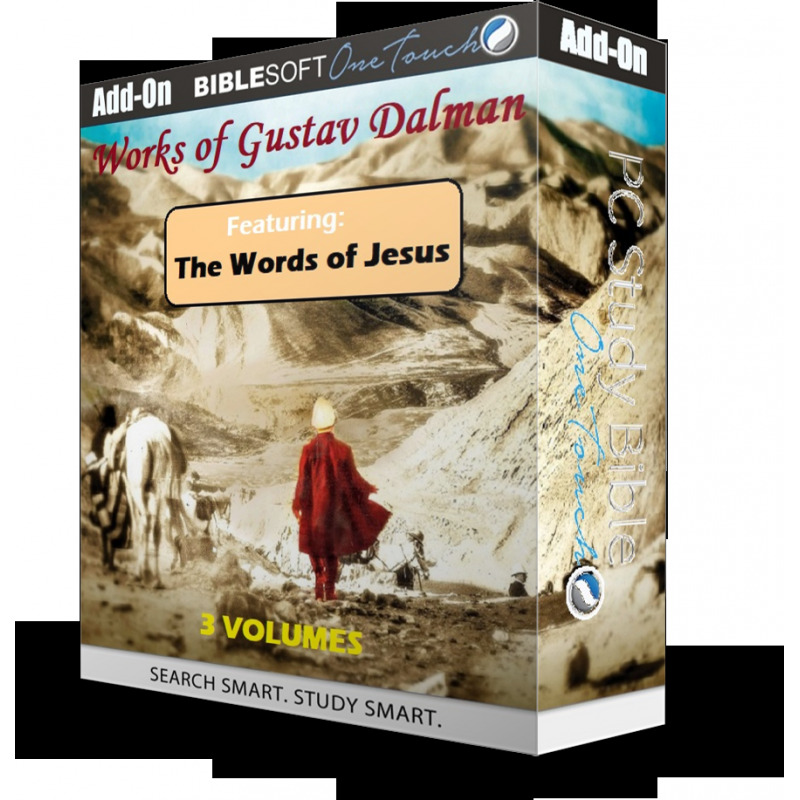 Biblesoft is pleased to present this collection of three works by pioneering Biblical scholar and theologian Gustav Dalman (1855-1941), featuring one of his most famous works: The Words of Jesus (Worte Jesu, 1898 English transl. 1902). Dalman was a prominent German (Lutherna) theologian and specialist in oriental (Semitic) languages. He was an explorer (and minor archeologist) in Palestine before the First World War, collecting a wide variety of texts and physical specimens. His speciality was in the study of the Aramaic language, particularly in the biblical and post-biblical periods, on which he published an authoritative grammar (1894) and dictionary (1901). 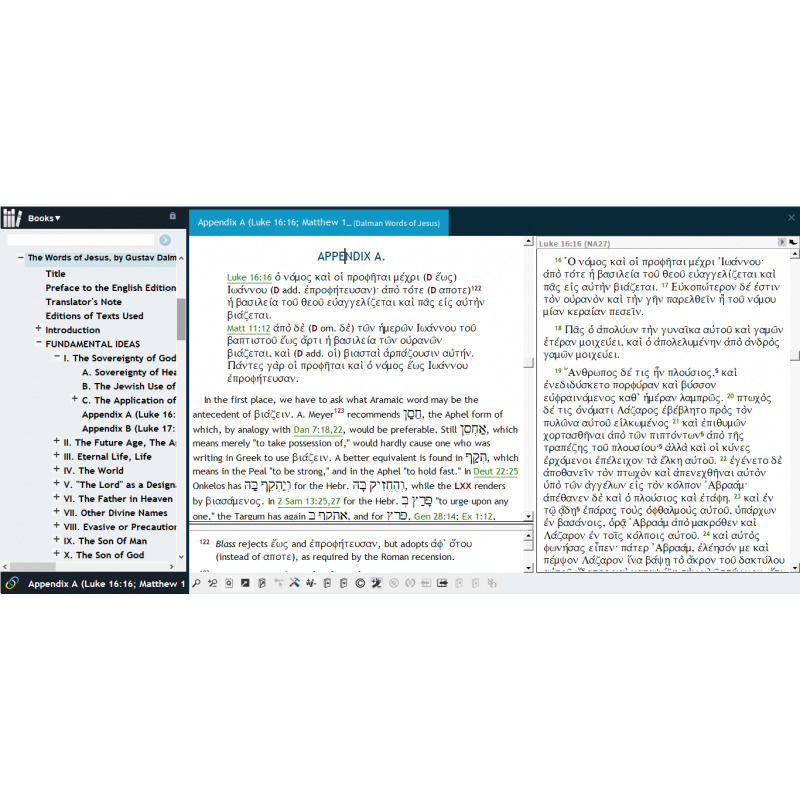 Most significant for Biblical commentators are his landmark works on Jesus and the Gospels: The Words of Jesus and Jesus-Jeshua: Studies in the Aramaic Gospels (1922, transl. 1929). 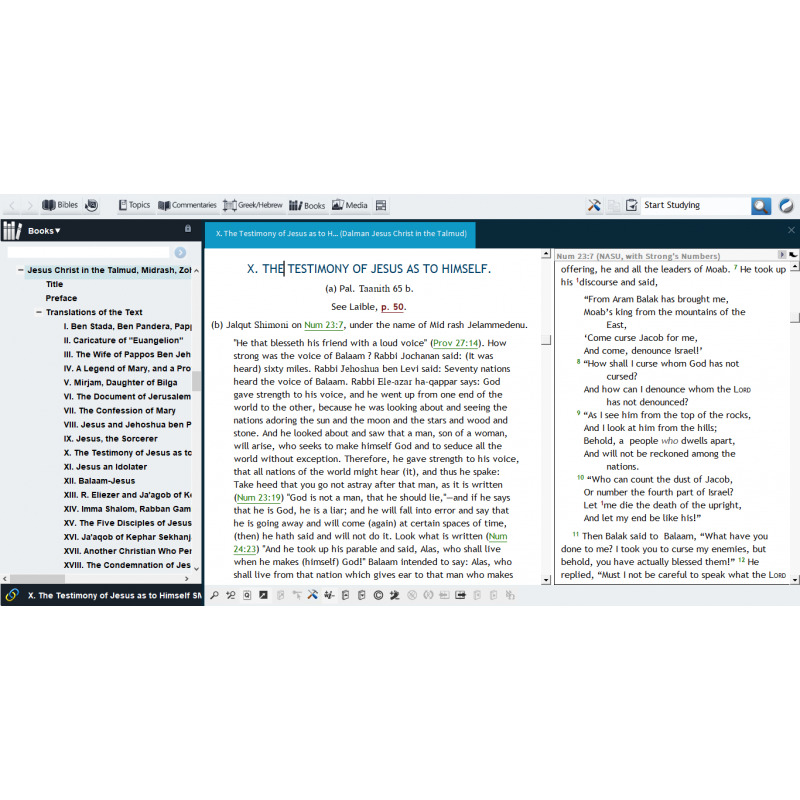 He was one of the first Biblical scholars to present a detailed study on the words of Jesus and the Gospels as they might have been spoken (and recorded) originally in Aramaic. This approach came to dominate Gospel studies for much of the early-mid 20th century, though it is less popular among commenator's today. In The Words of Jesus, Dalman examines many words, phrases and expressions used by Jesus (and the Gospel writers), considering the possible (Hebrew/Aramaic) background, along with many parallels in Jewish literature (often from a somewhat later period, admittedly). It remains a fascinating and important work today, however one evaluates the significance of such evidence. 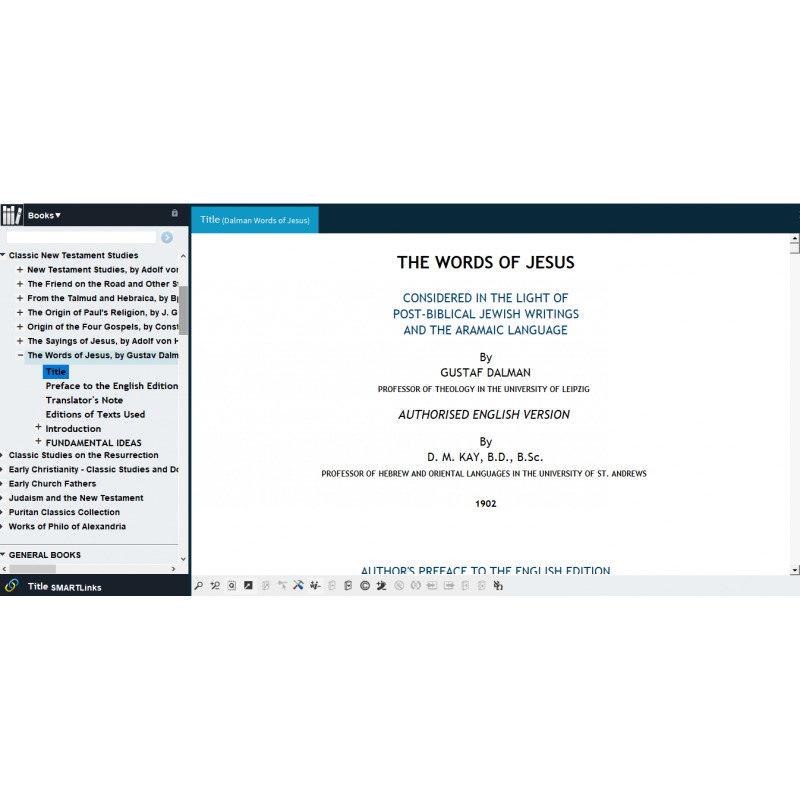 NOTE: The Words of Jesus may also be purchased separately (along with Harnack's The Sayings of Jesus). 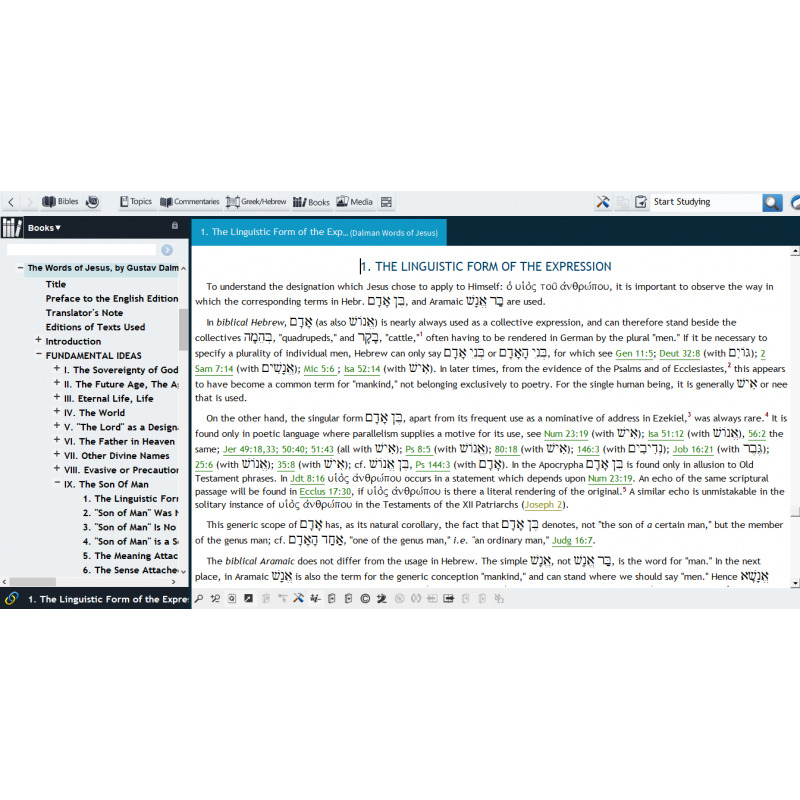 both of which are part of Biblesoft's Judaism and the New Testament collection (and the DELUXE collection).